Learn the benefits of meditation in 15 minutes. Knowing all the amazing benefits of meditation will make you more motivated to keep your meditation habit. 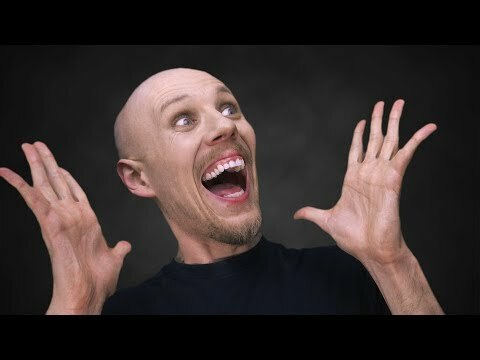 Hey, this is Leo from Actualized.org, and in this quick self-help segment, in about ten minutes, I’m going to tell you about the benefits of meditation. 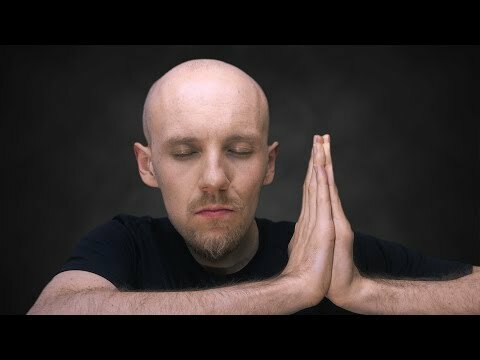 This should convince you why you should be doing meditation, which I bet, right now, you’re not, if you’re looking at this video. Quickly, what are the benefits of meditation? There are many of them, and they’re really, really powerful. Let’s start with some of the basics. First, meditation is good for reducing stress. If you’re stressed out in your life, if you’re having a lot of stray, negative thoughts — if you’ve got a lot of monkey chatter up there and you can’t keep focused, meditation is just the right thing for you. It’s really the right thing for everybody. All of us are always plagued by negative thoughts, distracting thoughts. We’re not able to focus, which is preventing us from getting the kind of performance that we want in our life. Also, getting the kind of peace and tranquility that we want in our lives. Who wants to be stressed? Meditation is great for that. Meditation, going along with this theme of focus, is great for building up your pre-frontal cortex. This is scientifically proven. It literally builds up the front part of your brain, which is responsible for controlling impulses and self-discipline. You can be more creative, more productive, a better thinker, sharper with your mind. You can be more disciplined and stick to your habits better and get the stuff you need to get done easier, with less pain involved and less waffling, less procrastination, if you do meditation. That’s another awesome benefit. Another benefit of meditation is performance. It improves your performance at work. It will improve your performance in athletic events and sports. It will improve your performance in your relationships. It will just improve performance everywhere. It just kind of spills over into your life. It kind of calms you down, makes you grounded. It makes you happy to be right here, in the moment. When you’re like that, and you’re relaxed, performing from a relaxed place rather than a tense and stressed place, it’s always good. Making decisions from a relaxed place is also very, very good. When you’re stressed and overwhelmed, overworked and fearful, and you’re having these negative thoughts, how are you going to make an effective decision? In your business, in your career, in your relationship — you’re not going to be able to. You’re going to be influenced by those negative emotions. Whereas, if you’re clear minded, and you’re very conscious then you can make very smart decisions. You can resist impulses, like going for that donut when you know you shouldn’t. Or falling off your gym routine. Or not performing well at work. You’re just going to be able to stick with those things much easier, because you’re going to be able to control your impulses. The next benefit of meditation is actual brain health. We talked about building up the willpower muscle, which is awesome — it gets you a lot of performance, but there’s also the brain health benefits. There’s been a lot of MRI studies and FMRI studies and other brain scan studies that have been done over the last couple of decades. These are new technologies that are showing the benefits of meditation. What they do is take a look at the monks that have been meditating for decades and they take a look at normal people. Then they take a look at people who, for example, have degenerative brain diseases, like oldtimers, or various brain tumors and cancers, or just poor brain shape, physically, where the brain is just deteriorated. What they find out is that the health of the brain is improved with how much the brain is being used. It’s just like any other muscle in your body. The brain is not a muscle, but it behaves like a muscle. When you’re training it up, you’re actually making it healthier, stronger. You’re making it more complex, those structures of it are actually working. What has been shown is that when you meditate, you reduce the effects of brain degeneration with age. You reduce things like memory loss, which tends to happen with age, because you’re still using your brain. You keep your prefrontal cortex working. You keep all the parts of your brain working. You prevent Alzheimer’s disease. Those are some really powerful benefits of meditation. Let’s see, what else do we have? Next on the list, let’s cover enlightenment. 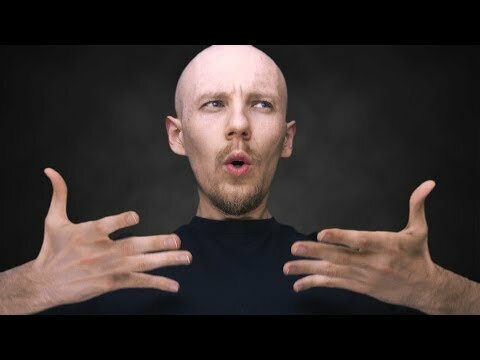 This is something I’m a little bit hesitant to cover, especially in a newbie, introductory, quick segment like this, because enlightenment is a very deep topic. It takes serious commitment to reach. If you’re not willing to spend years, maybe a decade or more, in serious contemplation and meditation, then you’re never going to reach it. I think a state of enlightenment is something you can really shoot for. It can be a long-term vision of yours. It’s really awesome, because what happens when you reach a state of enlightenment is literally your ego melts away. The petty distinctions that you make right now, the judgements, the criticisms, all the emotional baggage that you have, all that melts away. You become one with the source. You become one with the universe. You see everything interconnected. You feel like everything is love. You drop all the fears that you have. You drop all the anger and the pettiness. Life just becomes a joy. Just a joy, right now, in the moment. That’s something that’s amazing, to reach that kind of level. I’m nowhere near that kind of level, but I aspire to be, at some point, which is why I’m doing a lot of meditation right now. I’m really committed to it, because I want to get to that point. To me, that’s a really amazing peak experience to have in life, to reach that state of enlightenment. That is out there for you. Next on the list, I would say, is happiness. It makes you happier. Meditation makes you happier. You’re just happy without external stimulation. So much of life and so much of culture is getting hooked on external stimulation — whether it’s food, drugs, alcohol, television, media, gossip, whatever. When we can just be happy, right here, in the moment, in the present, without worrying about the past or the future, what more do you want from life? The ultimate aim of life is to be happy. If you can get that by basically doing nothing but meditating, and meditation is nothing but just sitting down and clearing your mind of thoughts — it’s that simple, with subtle variations and techniques — then that’s what you want. You want happiness. Why not give that to yourself right now rather than go chasing money, a trophy wife, a great car, a house? You don’t need that stuff to be happy. You can get that through meditation — a lot cheaper, a lot simpler to do. Time-honoured, been proven through millennia that it works. I think the last point I’ll cover as a benefit of meditation is this idea of meditation as therapy. If you do meditation consistently, and you have to do it consistently, that means on a daily basis, then what will happen is that naturally, from your subconscious, things will bubble up. You will start to get quirks that are in your subconscious to bubble up. What’s happening is that your ego is resisting the meditation. As you meditate more and more, your ego has to evolve to more complex structures, to handle the new thoughts that are going through it. What happens is, to do that, it literally has to give up and shed off the old skin it had. Like a snake shedding its skin. What happens is that old, preconceived notions you have about right and wrong, about how the world works, about dichotomies in the world — like good and bad, right and wrong — these structures kind of melt away. Not in a sense that you don’t care about right and wrong anymore, but you start to see things more as one, more unified. You start to let go of the baggage from your childhood, from your early adulthood. You start to let go of this, you become free and you’re no longer held back by that stuff. Limiting beliefs are shed. It’s basically like doing therapy, but a little bit more subtle. It just happens spontaneously as you’re meditating over a long period of time. As you do meditation for months and years, stuff will bubble up from your subconscious, and then you’ll have to deal with it consciously. You’ll resolve those conflicts, and then you’ll get tranquility from that. You’ll no longer be triggered by those. Then new things will bubble up. Deeper things will bubble up, and you’ll resolve those. Eventually, through that process, you’re going to resolve a lot of stuff that is bothering you, triggering you, holding you back. If you really want amazing performance in the future, if you really want to live up to your full potential, then meditation is the right way to go. You need to shed some of that old junk that you’re still carrying around in your subconscious mind that maybe you don’t even realize right now. It’s going to come up for you as you’re doing meditation. Those are the benefits of meditation. I hope that has built a pretty strong case. I don’t know how much stronger of a case you would need to actually get involved with meditation. These benefits are pretty amazing, pretty massive, especially given what meditation is. It’s so simple. 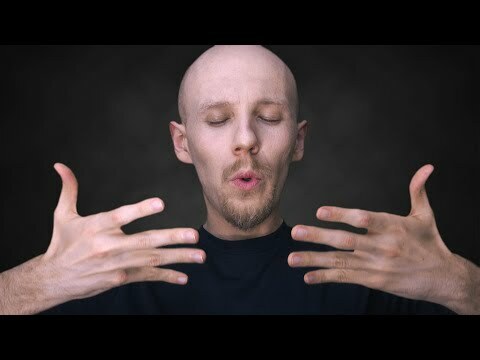 I actually have more videos about how to do meditation, tips and tricks about meditation, common pitfalls and how to make meditation a habit and actually get the results from it that you want. All these benefits I’m describing? There are actually techniques for getting them. Most people, when they start meditation, they fail. I want to help you get around that. So check out some of my other videos on meditation, especially the meditation concept cupboard in my personal development blueprint. Go ahead and check that out. I’m going to sign off now. Please go ahead and leave me your comments. I love to hear from you. Tell me how meditation’s working for you and maybe what other benefits I’ve missed here. Please like this and share it. Go to Actualized.org, sign up to my newsletter where you can get more advanced personal development videos. I’ll have more content on there about meditation. At first, thank you for your inspiring videos, I gave me the kick I needed to take things serious again. About the meditation, it took me tons of times, before I finally got to a point where meditation got really interesting, and worth doing only because I am curious of what will happen, what will I feel, where will my mind be after I am finished. But I must say that I wasn’t doing it daily, because it did not seem to be a big deal. I already got a really good effects, but after what you have sad I will do it day by day. Could you tell me what else would be good for being more disciplined? That seem to be what holds me back the most at this point. Yeah, meditation MUST be done daily. Don’t even think of missing a day. If you do it, you do it for the rest of your life. Or don’t do it at all. loving your videos, really great work. from my past started to creep into my sessions. I really enjoyed meditation up until that point. continue meditation. Any tips would be greatly appreciated. i’m getting stimulated by events. every bad moments is making me sad. i associate my self with every everything. its like i feel its happening to me or it will happen to me. please send me suggestions. i want to get things without making efforts for it. its like i want to get all the things in the world without making any efforts. this idea keeps revolving in my mind and if i tell my self that you cant get anything without working hard its kinds hurts me. kind of sad feeling. could you please suggest any means to make my self get motivated. Thanks for the video. I have been meditating for 3 days now. I was surprised that at night when I go to sleep some very old (bad) memories of bad situations and feelings are popping up. I had not have these memories for 20 years and did not even know they existed. Is this already a consequence of the meditation or is it coincidence? Is this to make peace with these negative experiences? Transcendental meditation seems involve a sound as mantra. Have you studied TM? Is it worthwhile to be taught to practice that? You said just sit and breath. No need fancy stuff. Hi Kim, I think it’s a lot of money. Just meditate with youtube video’s or concentrating on your breath. Hi Leo, I enjoy your video’s. When I go on a retreat (f.ex. tulkulamalobsang.org/tourplan) then I feel more inspired and motivated to meditate. But after a few weeks it’s harder to keep meditating. I’ll look at your video about discipline (actualized.org/articles/willpower). Meditation is very powerfull, it creates a layer between the feeling you have and the action you take. I find it very important to get the routine going. Now I’m in search for physic exercises to do before I start meditating. Most of the time I meditate with guided audio files. Also visualisation exercises come in handy (I find them on youtube). – Do you know any good guided meditation (movies) on youtube ? – Do you know any exercises to do before meditation ? I started a daily meditation practice last week and lasted 4 days. Previous attempt was better at a little over a week. I’m not sure if it’s related but what I’m concerned about is that the days after stopping meditation I kind of ‘lost control’ and acted out eg binge eating, alcohol, procrastination and a general lack of focus. The thing is that a similar thing happened during the last meditation stint. I’m wondering if it’s a thing were you deliberately focus your mind for a period of time through meditation, then your mind, as if on its own decides to sabotage your meditation practice as well as decides to go that little bit further by going awol becuase of attempts to control it in the first place? I haven’t been able to consistently get into a deep meditative state but when I do it’s absolutely amazing. Sometimes I have trouble stopping the chatter and I noticed that chatter is more active at certain times. When you’re struggling to quiet the mind is it better to try again at a later time or try to power through it and get into a meditative state? BTW, I love your message, videos and no BS style. It really helped me to start meditating again. After a couple of years meditation daily. 1 1/2 year ago I met someone who was willing to teaching me some so called techniques and backgrounds on meditation. She became very aggressive each time when I wasn’t breathing or counting right. After a lot of brain concussion and bruises, I became too frightened to mediate. But the simple explanation and motivation in this video really helped me starting again. Leo! You are FABULOUS!! wow… You are gonna be a millionaire like already. It is amazing how you cut through the red tape and deliver extraordinary content. You got me. Just got laid off my dream job but it is good riddance! Those guys toxic and lame- I mean they actually TRY to mess folks up. Anyway, I am super optimistic. I can paint a very good portrait and I live in D.C.. I also have recently started performing on Blues jam nights and get that awesome band going soon. I have actually peaked and reached self actualization at least for my work days. Some days anyway. Thats why I searched and found your site. I am so glad to have connected.